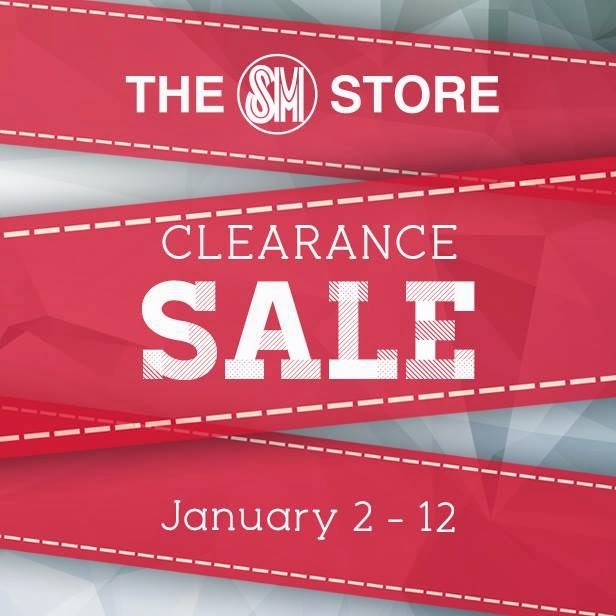 It's only the second day of 2014 yet SM already has great news: they are having a clearance sale starting today until January 12. Isn't it amazing? I know most of us are still recovering from the expenses of the holiday season. But just in case you have something urgent to buy in the mall, why not go to SM and check the items on sale right? I;m thinking of buying stackable containers that I can use in the condo so I might visit the mall soon. Hopefully I can find something that's within my budget. Anyone here who already went to work? I did not file for vacation leaves this January 2 and 3, so I was in the office the whole day. A lot of my officemates are still on vacation though, but I do not mind going to work since our load is tolerable so far. And I am actually saving my leaves for my upcoming travels. Which reminds me, I have to finalize my itineraries for the first two trips (they are already this coming February)! They will be solo trips so hopefully things will go according to plan. Anyway, enjoy the rest of your day and happy shopping to those that will check the clearance sale! uy! thanks for the heads up! all branches to sis? happy new year! happy new year sis! no prob :) and yes, I read online that this is for all sm stores. I want, I want, but I promised myself to really try and cut down on my shopping haha. So far so good naman, crossing fingers. By the way, congrats on your giveaway! Happy New Year, sis! I wish you all the best! me too!I am trying to lessen my allocation for shopping. Hopefully we can do it sis!